Let’s consider a hypothetical: you’re a recruitment marketer, and you’ve been promoting your employer brand through Twitter, Facebook, and LinkedIn for the past several months. You know from analytics on your end that your posts are reaching people and garnering clicks, but these clicks haven’t translated into a steady stream of new hires. What could be going wrong? Alternatively, imagine that you’re a hiring manager. You’ve invested in attracting candidates to the top of the recruiting funnel, but very few of the potential applicants reached are making their way to you. You’re at a loss to understand this disconnect, and your efforts to uncover its cause come up empty. In each of these situations, the culprit could be your organization’s applicant tracking system (ATS). While these widely adopted systems were obviously built for the convenience of recruiters, in modern recruiting they have the potential to create recruiting silos if they’re not properly integrated into the rest of the recruiting funnel. Now, when we talk about the recruiting funnel, what exactly are we talking about? Essentially, we mean the process whereby potential candidates gain awareness of your employer brand, apply for a position, and go through the interview and hiring process. While most ATS solutions by themselves have significant utility for recruiters, helping them to manage applications and track candidates, they’re fundamentally geared toward the application stage of the funnel. Thus, because these IT solutions don’t extend to the attraction or hiring stages of the process, they create silos within the recruitment funnel itself. In the hypotheticals above, it was possible to see the ways in which a siloized recruitment funnel might lead to disconnect between recruiters, recruitment marketers, and hiring managers. When people who are essentially working towards the same goal (hiring high quality candidates) are cut off from one another by technology, it can be difficult to get on the same page and address any issues (like high cost per applicant, or low apply rates) that might arise. More than that, it can become difficult to devise and roll out new recruiting initiatives, because marketers might not know what positions are currently in need of more applicants. This low level of visibility into the actual state of your company’s hiring operations is just another symptom of recruiting silos. Of course, when the funnel is working smoothly, many of these potential hazards will be invisible. After all, when your apply rates and cost per applicant are meeting expectations, why question success? Unfortunately, an ATS infrastructure that’s effectively disconnected from all other parts of the funnel may be prone to certain issues. For instance, many ATS solutions sacrifice candidate experience in the name of recruiter convenience. Applicants may have to wade through long, redundant forms in order to deliver information that’s already on a standard resume. Often, the user experience on these forms is not mobile friendly, and sometimes won’t even give candidates the option to save the application and return to it later. While this may have flown when competition for talent was less fierce, in the current job market, poor applicant experience can quickly become a deal-breaker. While losing applicants who can't or won’t grapple with your ATS is not a problem of siloization per se, it is exactly the sort of fact that you might find hidden in a silo when one cropped up. If, as a hiring manager or a recruitment marketer, you’re dealing with one of the scenarios outlined above, this could potentially explain it. More generally, any recruiting issues that arise for which you have trouble gaining any hard numbers or insights might be a sign of a recruiting silo. If these issues are occurring during the application stage in the funnel, your ATS may be to blame. Right now you might be thinking, “okay, does this mean I need to throw out my ATS and rebuild my recruitment infrastructure from scratch?” Not exactly. Yes, many ATS systems are prone to creating silos, but that doesn’t mean that they aren’t useful tools for recruiters to have in their toolkits. The trick is to find a means of integrating all of the stages of the funnel into a cohesive whole, so that each stage, from awareness to hiring, flows seamlessly into the next. Though your ATS is likely designed with the specific needs of recruiters in mind (rather than those of hiring managers, marketers, or even applicants), it is possible, through marketing automation or other means, to ensure that its information remains visible and accessible to those who need it. Let’s turn to the original hypotheticals one last time. 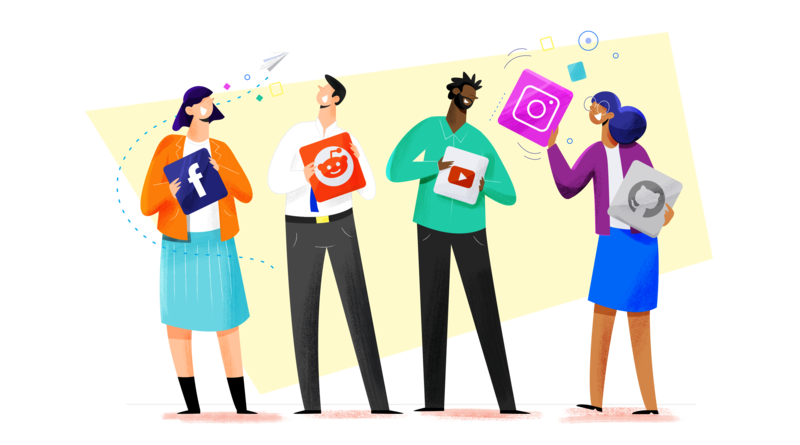 In an integrated environment without silos, your attempts at employer brand promotion are directly connected to the application-stage activities that your content encourages users to take. Now, if the hiring process is not meeting goals, recruitment marketers can determine not just how many impressions and clicks their marketing materials got, but how many of those clicks translated into actual applications. This way, they can adjust their strategies as needed, or they can help the recruiting team to uncover potential stumbling blocks in the application itself (just because your ATS is integrated with the rest of the funnel doesn’t mean that you can slack off when it comes to applicant experience, but that’s a topic for another blog post). More than that, by seamlessly integrating your ATS into the rest of the recruiting funnel, you can ensure that everyone involved in the process of attracting high quality talent knows what positions are open, which candidates have submitted applications, and what steps each candidate has taken over time. With this level of integration, it becomes easy to gain insights in whatever key recruitment metrics you deem important, making it easier to track your successes and learn from your failures.